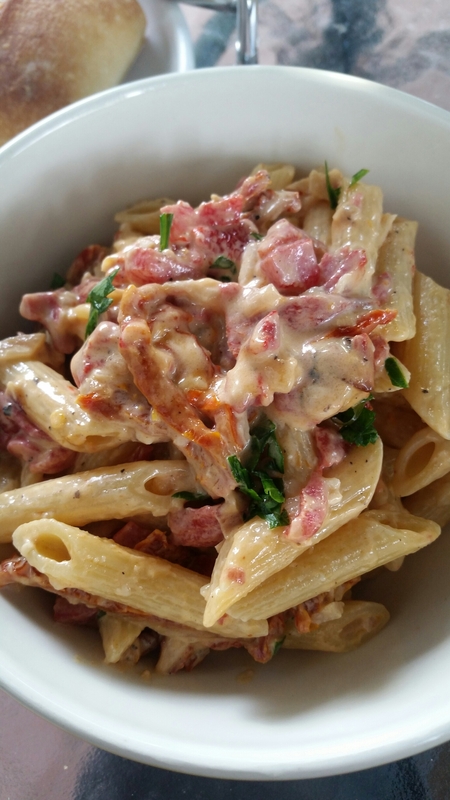 There’s a little ‘dive’ Cafe nearby that serves the most ridiculous pasta dishes. It’s not really a dive but the decor leaves a lot to be desired. Their food is unbelievable, though. 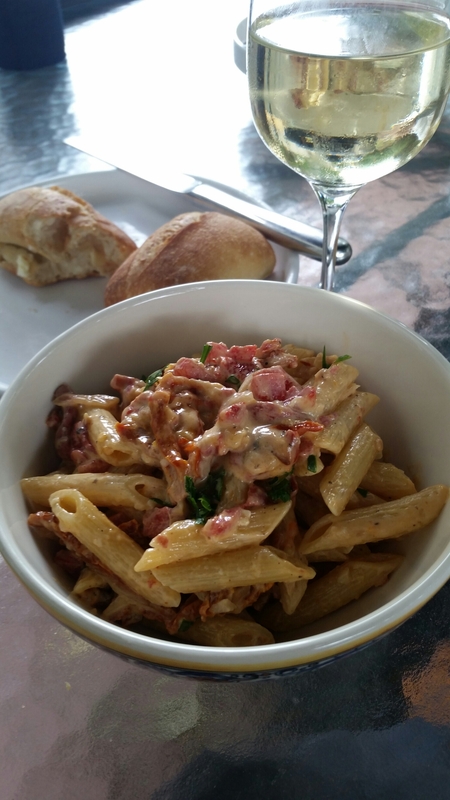 Fresh dishes, homemade desserts, a yummy wine list and it’s cheap. Score. I was there a few days ago, with my mum. This place is our guilty pleasure. The crusty French bread is the perfect vehicle for the sauces they prepare. I tried a new dish the other day and have been craving it ever since. It was fettuccine in a garlic cream sauce with sun dried tomatoes. Mother of God. 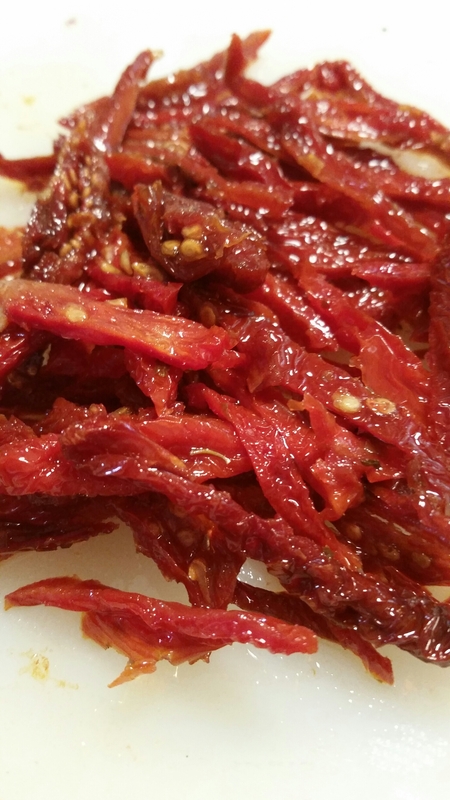 Where have sun dried tomatoes been all my life?? I decided to recreate it for lunch today and I couldn’t have been happier with the results. It took all of 10 minutes to make and was absolutely delicious. 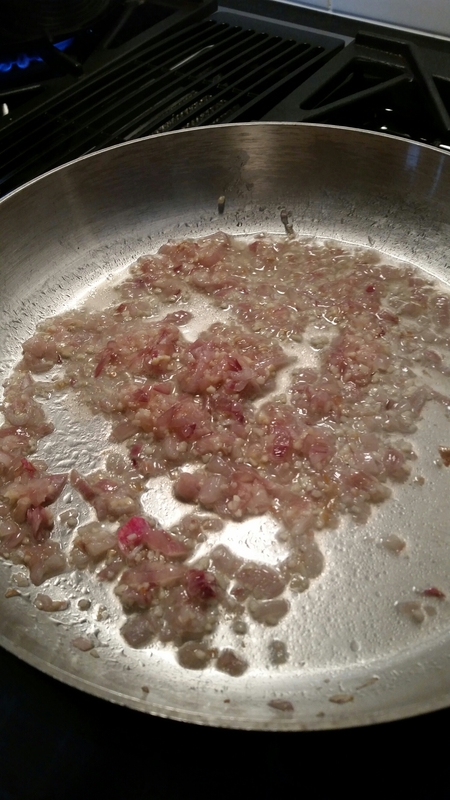 It all starts with a diced shallot, simmering in some olive oil. Just as the shallots become soft, add the garlic and cook for just a minute. I added a 1/4 cup of dry white wine and let it reduce for another 5 minutes. Next, I sliced the sun dried tomatoes, packed in oil. I then diced the roasted red peppers and added them both to the shallots. 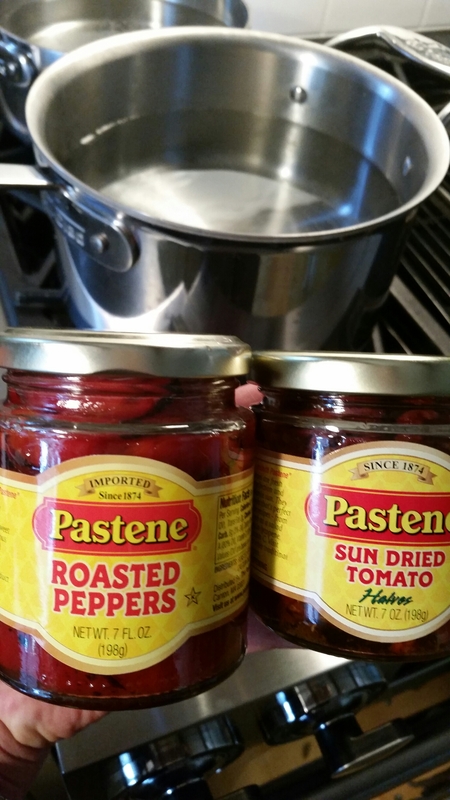 In goes a cup of cream, a tablespoon of dry sherry, salt, pepper, red pepper flakes and a cup of parm. I stirred it well, over medium heat, while the pasta was boiling. And that was it! It made the perfect lunch and wasn’t heavy, like a traditional pasta dish. 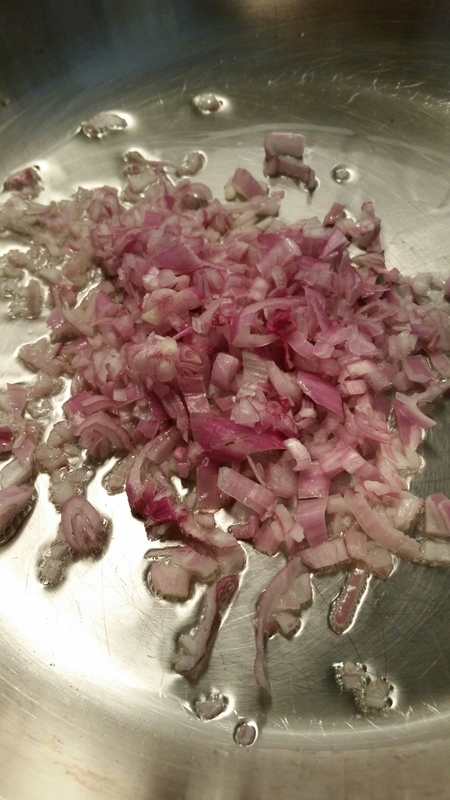 Over medium heat, sweat the shallots until they’re soft. Add the garlic and cook for just a minute. Add the white wine until refuced by half. Add the tomatoes, peppers, cream, and sherry. Let it simmer for 5 minutes and then begin adding the parm, stirring constantly. Add the red pepper flakes and fresh parsley.